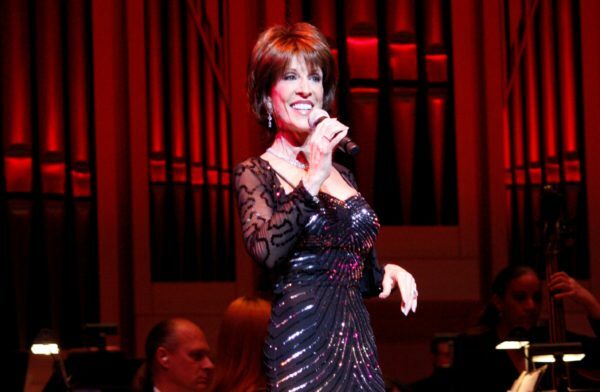 Deana Martin To Perform Monday Dec. 10th on Fox & Friends | 2911 Enterprises, Inc.
New York, N.Y. – Deana Martin, world-class entertainer and daughter of legendary entertainment icon Dean Martin, will make an appearance on Fox & Friends (Fox News Channel) Monday, December 10th. Martin is set to sing “Let It Snow” in the 8am hour and is also ready to address recent controversy concerning the long-time holiday favorite “Baby, It’s Cold Outside” that her father famously recorded nearly sixty years ago. In addition, Deana will also perform a second classic from her ‘White Christmas‘ album on the newly launched Fox Nation platform, immediately following the Fox & Friends performance. This past June, Martin was bestowed the official title of Trobairitz by the Friar’s Club in New York City as part of “A Deana Martin Toast.” Special guests included Joe Mantegna, Joe Piscopo, Tony Lo Bianco, Steve Maglio, Mike Renzi, Sal Viviano, Richard Barone, Joseph Baldasare, Will Griedwald, Bill Boggs and Mike Marino, among others. This coveted title has previously been awarded to several other esteemed female entertainers, including Liza Minnelli, Barbra Streisand, Dionne Warwick and Kristin Chenoweth. Deana continues to tour and host her popular celebrity roasts, celebrating famous friends all over the country. For additional information on her appearances and concert events, please visit DeanaMartin.com.